Hi! My name is Daedra and I’m the founder of Strawesome. I’m also the one that designs and hand-makes all our glass straws that you see for sale in our online store and in stores around the world. Please watch this 2 minute video to meet me and get a glimpse of how glass straws are made before reading the additional information on this page (it will make more sense having some visuals first). Note: In the video, I say Strawesome has only been around for 3 years. At the time that was accurate, but that video was shot in 2012! I’ve been doing this for over 8 years and maybe it’s time for a new video! 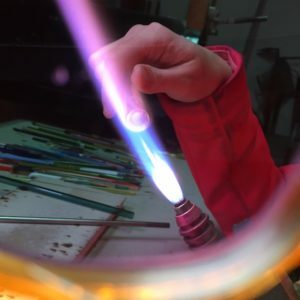 I use the oldest form of glass blowing called lamp-working or torch work to make Strawesome glass straws. 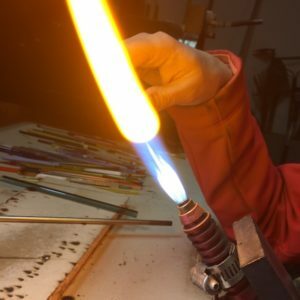 I’ve been glass blowing since 2008 and I purposely learned torch work for the goal of making glass straws. Let’s just say I was on a mission! The torch I use for making straws combines oxygen and propane to produce a working hot flame measuring 1,500 degrees Fahrenheit! 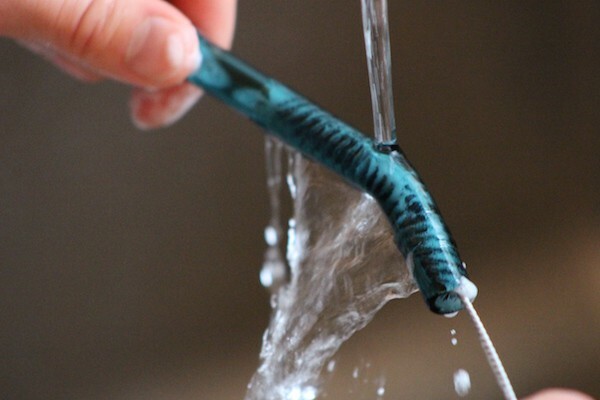 This allows me to melt the glass to create designs, bends and more. There are two glass ingredients that I use to make our straws. 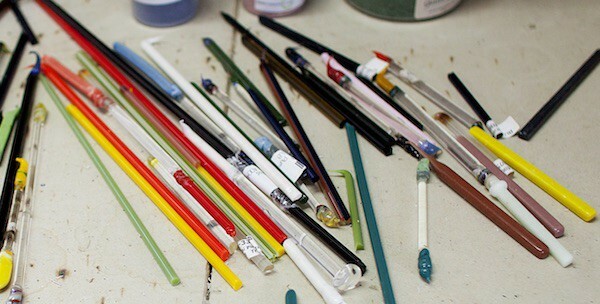 One is the straw tube itself and the other is the colorful glass I use to decorate the straw (see photo below for a sampling of the color rods I use to decorate straws). Both types of glass are super-durable Borosilicate glass (same commercially strong glass used in Pyrex and the space shuttle). 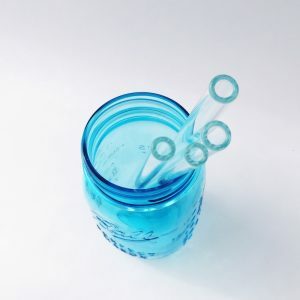 This is the process to create our standard clear and colored glass straws. 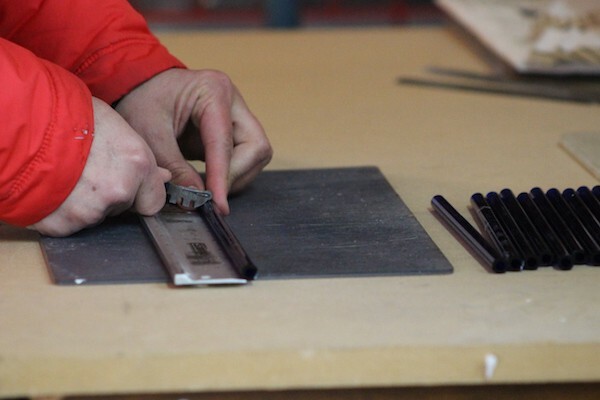 First, I score and snap the long tube to the length needed using a glass cutter and my hands. Next, I heat up each end of the straw with my torch to remove sharp edges so that it is safe to put in your mouth. Finally, if this will be a bent style, I heat the straw where the bend will be located and use gravity and a steel rod to push it to the correct angle. I do all of that by hand and each straw is almost identically bent as the next (because I’ve made thousands of these). 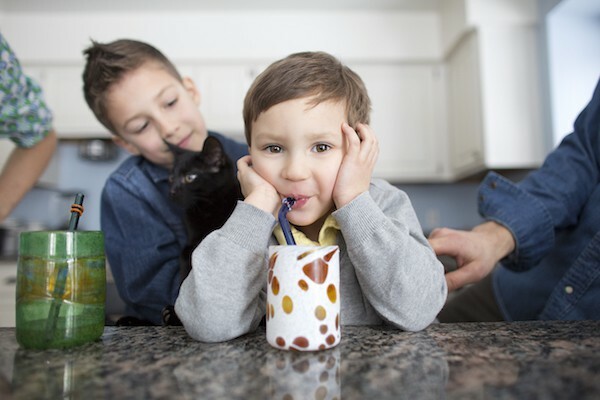 Designer straws are clear or colored standard straws decorated with additional glass. 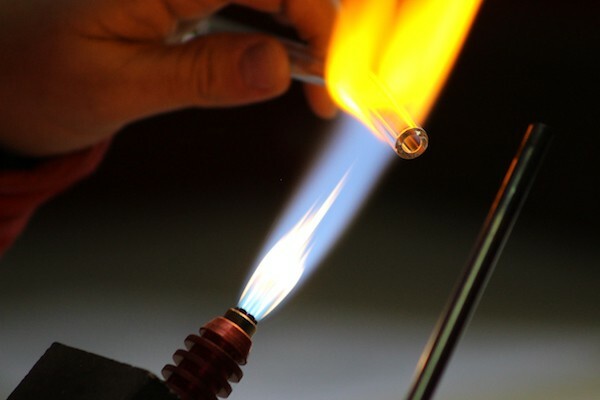 To add swirls, dots, or other designs, I heat up unique rods of colored borosilicate glass and melt them onto the surface of the straw. Sometimes I have to rotate the straw while applying the decoration and other times I have to use small tools to stamp in a letter or other aspect. The design itself can be a combination of one or more colors, so this is where I enjoy the variety and creative side of making straws. During the design process, I have to wear polarized eye-protection to see what I am doing. Otherwise, the glare from the flame is so bright that in essence I would be working blind. The polarized view removes the glare and I can see exactly what is going on in the flame. 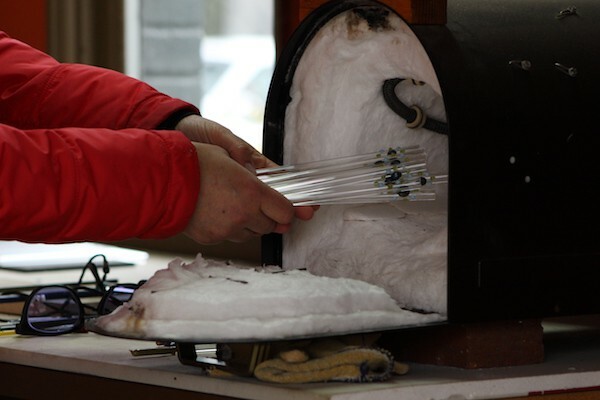 Once decorated, the straw immediately goes into a special oven set over 1,000 degrees Fahrenheit to anneal the straw. The oven heats up all the glass to an even temperature and then after baking for a certain period of time, it slowly cools down to room temperature. This process, called annealing, basically joins all the glass of your straw together as a strong unit so it is safe to use as glassware. 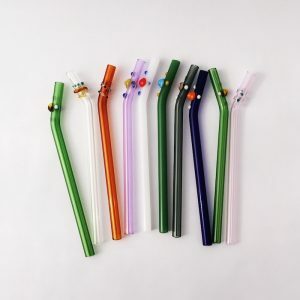 (If we did not anneal your straw, it would cool down too quickly and crack the decoration right off the tube of the straw.) Not sure if you noticed, but my oven is special made from a metal mailbox! No matter which Strawesome glass straw you choose to be yours, it is a beautiful piece of art hand-made by yours truly! I hope you enjoy your glass straw as much as I did creating it.